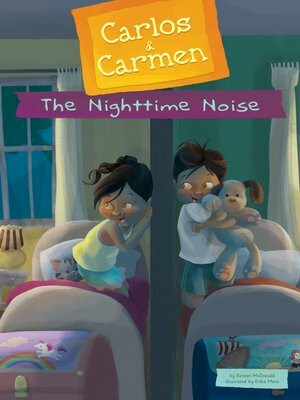 Carlos and Carmen have a hard time falling asleep in separate rooms. Once they solve that problem, they're kept awake by a spooky noise. The twins get their mom and dad to help them solve the mystery of the noise, which turns out to be something not very scary at all. Aligned to Common Core standards and correlated to state standards. Calico Kid is an imprint of Magic Wagon, a division of ABDO.